In late November I reluctantly abandoned my convalescing husband, and travelled to Adelaide to visit my Mum and rest of the family in commemoration of my late sister Kate’s 40th birthday. Mum and I enjoyed a long-planned trip to visit the Grampians in Victoria – staying in Mt. Zero, a location where she and Kate had stayed many years ago. In spite of some wild and windy weather we had a poignant time revisiting the places she had been with Kate. Here is a record of the trip, including some images taken in another of Kate’s favourite places, the Belair National Park. I have been wanting to try out photobooks for a while, but having looked at a few sites I didn’t like how clunky and inflexible the layout software seemed to be, and was concerned about the production quality. Then I found Momento Pro, which is a service for professional photographers and artists. I can use professional layout software (Adobe InDesign); the prices are higher, but the quality is amazing. So I have started to compile a set of portfolios of my photographic work produced over the last ten years. 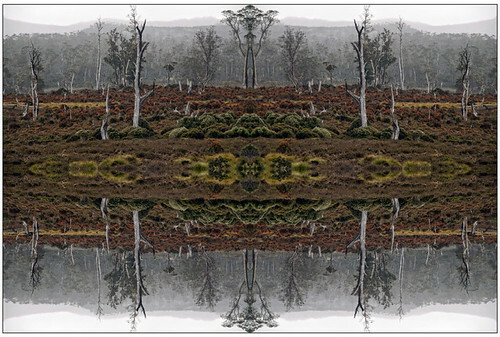 This one, Sacred sites: Royal National Park, has images composed from photos taken in the national park where I have lived for the last 23 years. 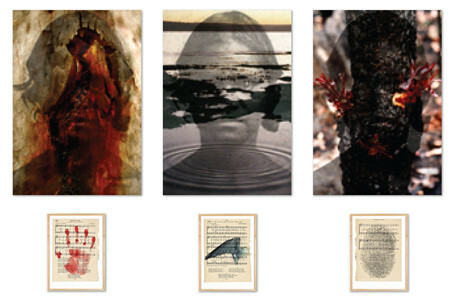 Compiling another of my portfolios, I’ve been revisiting my series ‘Wounded Country‘, which combines texts relating to the early Christianisation of Australia, with representations of archetypal Australian flora and fauna. In particular it uses the anthropomorphic forms and wounded skin of native angophoras as representative of the violence done to indigenous environment and culture. The images combine: photographs from the Royal National Park and other Sydney locations; texts and artefacts of early settlement; vintage book pages. These works were completed between 2001 and 2009. BTW, anyone can submit images to the Avant Card Artist Project. Although we visited Tasmania late in 2011, such is life that I have only recently been exploring the photographs taken there. It was a tantalising glimpse of an island with inspiring, changeable and atmospheric landscapes, as well as a brutal history. As a site for both the sacred and profane, it is well represented by the MONA collection of David Walsh. Here are some mandalas from this first visit, I hope to return later and spend longer.